CHICAGO, Sept. 12, 2017—Findings from Technomic Inc.'s 2017 Away-From-Home Beverage Study indicate that nonalcohol beverages are a large and growing part of the foodservice industry. From staples like soft drinks, teas, coffees and juices to emerging categories like cold-brew coffee, energy drinks and enhanced waters, hot and cold beverages accounted for over $181 billion in annual sales and totaled over 113 billion servings in 2016. Although soda and regular coffee continue to drive beverage volume overall, formats like specialty coffee (hot and iced), bottled water and energy drinks are expected to continue their already rapid growth in the next three to five years. “Beverages account for $1 out of every $5 consumers spend away from home,” said David Henkes, senior principal at Technomic. 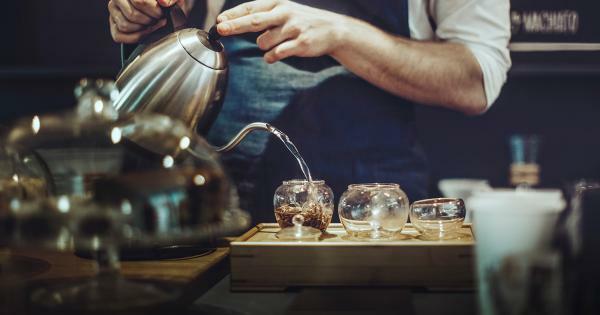 “They are a critical part of the overall experience and, because of their central importance, it’s absolutely crucial for restaurant operators and their suppliers to understand how innovation impacts consumer satisfaction.” Adds Patrick Egan, manager of research and insights, “flavored waters, plant-based milks, cold-brew coffee, aguas frescas and fresh-pressed juices are some of the categories taking advantage of modern consumer beverage preferences." While brand-name beverages are still critical to consumers—over 50% consider brand name either somewhat or very important—younger generations tend to downplay brand importance relative to older generations. Insights were collected from more than 800 foodservice operators and more than 3,000 consumers through comprehensive surveys, in-depth interviews and interactive discussion boards, with supplemental findings from Technomic's exclusive Digital Resource Library and MenuMonitor tools.